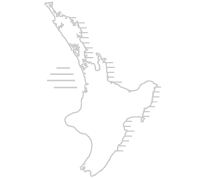 Based in Huntly, Waikato, we're a New Zealand family owned business operating throughout the greater North Island for the past 35 years. We take pride in delivering excellent customer service, professional workmanship with a strong commitment to quality and completing contracts on time and within budget. Values that we carry on today so our clients continue to receive the best results possible. Since we started in 1982, we have built over 1000 homes. Whether you're interested in the construction of residential housing, apartments, townhouse development, facility development, transportable homes or any other building requirements, work with PLB Construction Group and you will experience satisfaction from the start of your project to completion. Our philosophy: to provide affordable housing solutions with no compromise on quality. number of bedrooms you'd like. like an idea of transportation costs. cost estimates for your project. Keep up to date with our latest plans and designs.